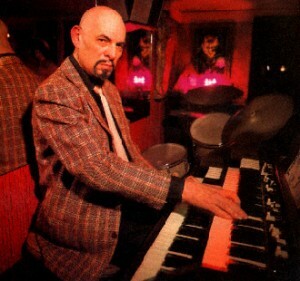 Anton Lavey, born as Howard Stanton Lavey, was born on April 11th in Chicago. He would go on to live an incredibly colorful life, gaining a great reputation as a major occultist and mystic. However, his lasting legacy is related to his redefining of ‘Satanism’ that he was deeply involved with. He is a very difficult figure to pin down. Many feared the man, but it’s clear that he was very charismatic. A lot of people view his works with a degree of skepticism and concern for the views that he published. They were fearful that they were possibly evil. However, he remains a highly interesting figure who captured the imagination of thousands. For this reason, I wish to look into his life and examine his relationship with the Craft. Importantly, I will look into how his approach is fundamentally different from that of many other people who follow aspects of the Craft, such as Wicca. I believe this is an important distinction to make. There should be more understanding Lavey’s ideas and we shouldn’t be afraid of examining his life and work without pre-judgement. Firstly, it’s important to address the odd comparisons that some people make between Satanism and Wicca. These systems can be viewed as almost completely unrelated. 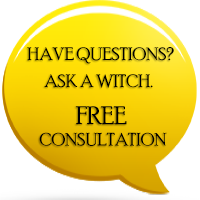 Wicca itself has developed independently through the millennia. Wicca is governed by the famous ‘Wiccan Rede’ rule – “And it Harm None, Do What Thou Wilt”. It is a general version of that golden rule that is common to belief systems worldwide, not to hurt anyone. The system that Lavey founded in the 20th century is not without morals, but it is inherently individualistic. It seems to state “Do not harm others, but should they get in your way, show them no mercy”. Again, this shouldn’t be interpreted as a physical direction, but something more spiritual. Nevertheless, it is clear that Wicca and Lavey’s Satanism grow from very different wellsprings. Lavey’s Satanism is important because it doesn’t accept the figure of Satan, as portrayed the Bible. There is no red-skinned dude with a pitchfork for Lavey. Instead, Satan is an empowering mental concept, a figure who stands up for himself and isn’t bullied by rules and conformity. He is the ultimate individual, and Lavey thought we should admire that sort of ‘go-it-alone’ attitude. It’s not a belief system that is not nasty either. 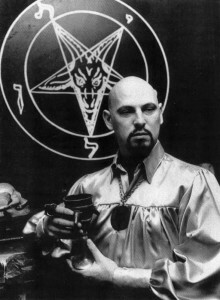 Lavey declared the establishment of his church in April 1966, at the height of the peace and love era, and quickly released a list of rules for those who jointed his belief system. These include some rules many people may find surprising, including a direction to display ‘kindness towards others’ and expressly forbidding harming the innocent. However, it also mentions that punishing those who get in your way is often necessary. This seems to be in direct conflict with the Wiccan Rede, and that’s something to consider. Many people in the world would probably agree with the rules of Lavey’s order if they were honestly asked for their opinions. However, express statements in the core of Satanism, such as the ban on ‘ignorance’ or displaying ‘stupid’ behaviour are far more obtuse. Obviously this isn’t a system that is designed to include everyone! That’s probably how he intended it. However, by far the most important distinction between Lavey’s beliefs and those of us who believe in the Craft was his belief in two orders of Magick. These are Great Magick and Lesser Magick. These are closely related to the skills and inherent power of the individual, whereas Wicca looks to a power that flows from the Earth. Lavey was adamant of the place that Magick had in his faith. Rituals and ceremonies are a really important part of what he was all about. Just look at how he presents himself and it’s clear he’s a person who appreciates form and function. However, he put a great emphasis on the individual using their intelligence to get the most out of the Magickal ceremonies that are performed. He stated Magick provides an opportunity, but it is down to the individual to grasp it. I think Lavey is an interesting character, although I certainly don’t believe in everything he stood for. What do you think?